Office lighting, in my estimation, means everything when it comes to productivity in the workplace. As I wrote in this article, one of the most underrated aspects of any office, small or large, is office lighting. 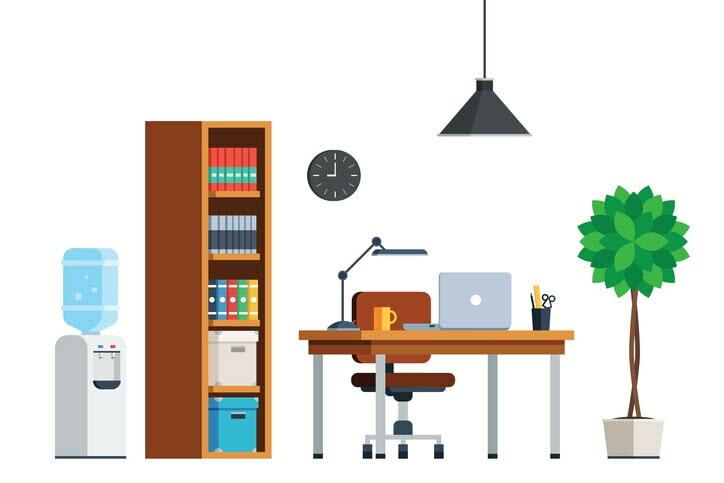 Office lighting solutions are extremely important in any office whether it have walls with a door, fabric panels like a cubicle, or an open office environment. I’ve gone through a number of iterations when it comes to office lighting and I think I have probably the best office desk lamp that there is on the market. But that doesn’t mean that there aren’t a number of really good options out there for office lighting at varying price points. I’d like to share with you 5 different options below. 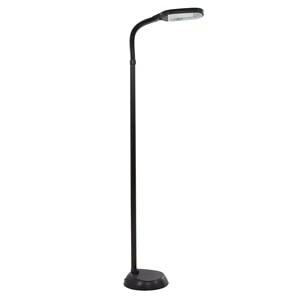 I figured I would start with what I consider the best desk lamp that there is out there on the market, the TaoTronics LED Metal Desk Lamp. I have purchased 3 of these. I bought one for my cubicle at work, one for my home office, and one for my daughter who fell in love with the one in my home office. Here is a youTube video (feel free to subscribe to my channel) of me opening up an using the TaoTronics LED Metal Desk Lamp. 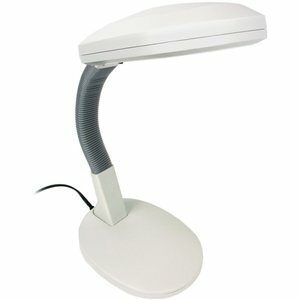 There are many different types of the TaoTronics desk lamps varying in price point so you certainly have options. You can find them here . I paid about $65 for the one that I purchased but you don't have to pay that much if you don't need all of the features. A Lavish Full Spectrum Sunlight Floor Lamp is probably a rather unique lamp that you would find in a cubicle or a small office. But, to be honest, the first time I ever saw such a lamp in my workplace was in the corner of a co-worker's cubicle. I can honestly say that this person's office inspired me to make my own cubicle the best I could make it. This type of floor lamp adds a certain ambience to any office. I have one in my home office and it makes a big difference in any time of the day. This was the same desk lamp that I used for years in my office cubicle after I was relegated into the middle of Cubicle Nation! You can read the detailed article here. I needed to find some type of desk lamp that would somehow mimic natural sunlight since my former office was next to a bay of windows to the outside. This desk lamp certainly did the job for me until I came across the TaoTronics Metal LED Desk Lamp that I already wrote about above. For the money, you really cannot go wrong with this Lavish Natural Sunlight Desk Lamp. 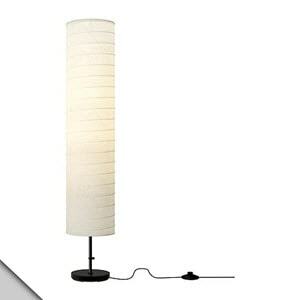 I had a desk lamp from Ikea which was very similar to this Ikea Floor Lamp. You can see it and read about it in this article. I loved it but I didn't really think it gave off enough light in the middle of Cubicle Nation. This particular floor lamp appears to be made of a similar paper-like fabric which is what I found the one I had intriguing. It almost has an exotic, island-type look to it which is what was intriguing to me. If you also like the look of this lamp here is a complete list of Ikea Lamps . You might've thought I was going to show you another desk lamp or floor lamp. Well, you're wrong! I decided to add the Philips goLITE BLU Energy Light to the list. You see, I've been using this energy light for years and you can read more about mine in this article. I use this energy light at varying intervals while in my cubicle for light therapy. I feel it has helped me as I am one who suffers from Seasonal Affective Disorder and have found that light therapy helps not only when it comes to my energy but also with mood. Please understand that this is not a light you use constantly in your office. 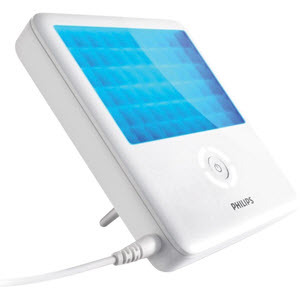 You use it for about an hour or so a day for light therapy. If you too feel that office lighting can make a huge difference when it comes to productivity in the office, you may want to check out the options above. If those aren't appealing to you, you can check out these Office Lighting solutions. If you have any questions or comments about the office lighting solutions above, please leave them in the comments below or use my Contact Me page.